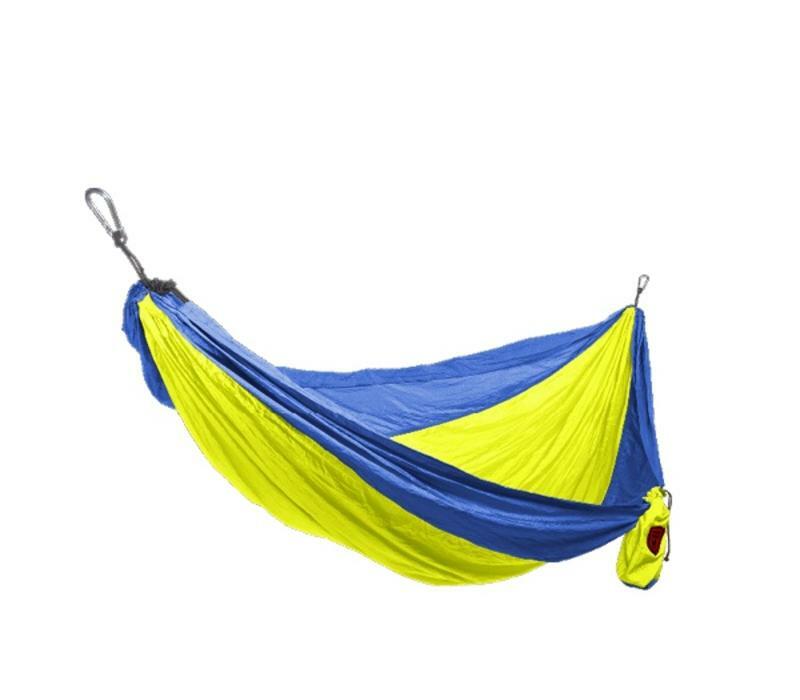 This super comfortable, parachute nylon hammock is perfect for adventures - from the backyard to the backwoods. 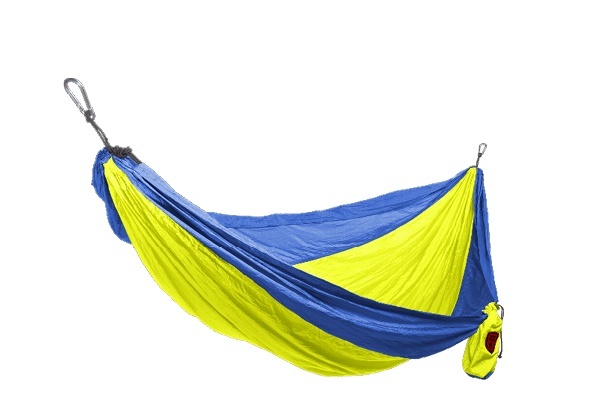 This super comfortable, parachute nylon hammock is perfect for adventures - from the backyard to the backwoods. Its included stuff sack makes it portable and easy carry around festivals, while hiking or backpacking. Our extra roomy 2 person camping hammock is great for sharing with a friend or spacious for a solo overnight camping trip.